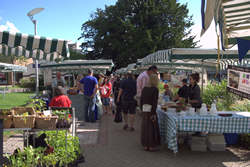 Now in its sixteenth year, this outdoor canopy market is situated in the very pretty Hollies Gardens next to the High Street and in front of Sainsbury’s. It takes place on the first Saturday of each month. 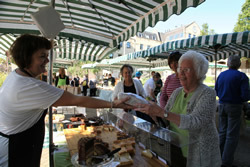 The market has a very good selection of local producers including two cheese makers ,specialist beef & pork stalls, fresh fish, bread, handmade pies, a huge selection of breads, apple juices & ciders, cakes, plants,honey, sweet treats and preserves. 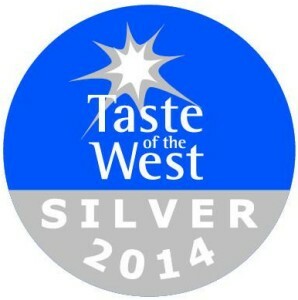 With support from Midsomer Norton Town Council, the atmosphere is enhanced by local musicians and celebratory events. An extremely friendly market. 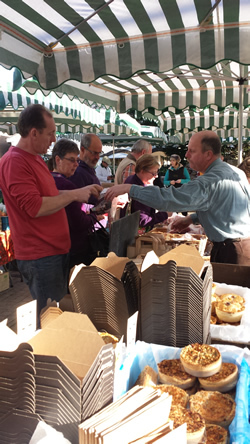 A coffee stall ,seated areas and live music make the market a destination for shopping and socialising each month! Parking/transport: there is a large free car park close by in South Road or two hours free parking is available at Sainsbury’s. The market is near to the main bus stop in town. Bradley’s Juice Apple juices and other fruit drinks, from our own orchard. 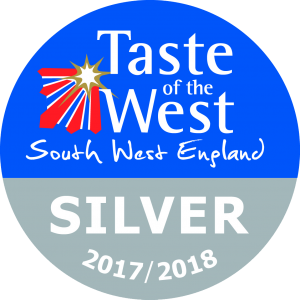 Brown Cow Organics An award winning farm producing multi award winning organic beef, organic yogurts and River Cottage yoghurt and panna cotta. Catacolours Savoury vegetarian & vegan dishes & salads with a Chilean twist. Loves Lane Biodynamic & organically produced meats. Lovett Pies Award winning Pie Company that makes individual savoury meat and vegetable pies. Nempnett Cider & Piglets Choice Perry Traditionally made award winning ciders & perry. Plants and Gardens Shrubs, herbaceous perennials, vegetable plants and some bedding plants. 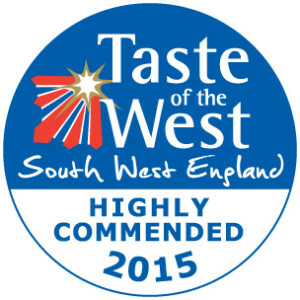 The Hill Bakery Artisan bakery specialising in sourdough loaves made with organic flour. The Pudding Kitchen A range of puddings, cheesecakes and desserts.